The last 10 years have seen an extraordinary revolution in our ability to sequence (order) the human genome in large numbers of people. A genome is an organism’s complete set of DNA, including all of its genes. 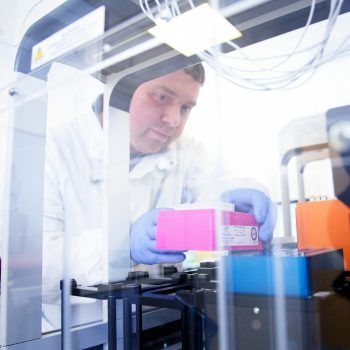 Several studies run out of Cambridge have already used gene sequencing very successfully to look at and treat patients with a range of conditions, including obesity, developmental disorders and breast cancer. In this theme, we will integrate what we know about the human genome with better, faster and more personal care for those with genetic diseases. This is also known as ‘precision medicine’ – when we take into account a patient’s genetic variations to tailor the treatment for them. 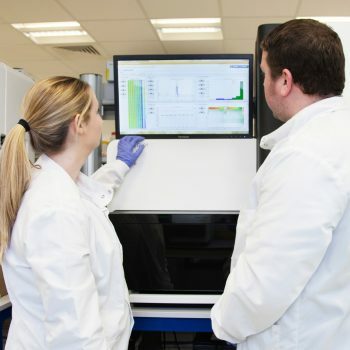 To help us we are developing resources to carry out more detailed sequencing of DNA, RNA (similar to DNA but which can convert amino acids to make proteins) and other protein ‘-omics’. These are fields of study that have been driven by technological advances and which provide comprehensive assessments of sets of molecules. But not every genetic disease is suitable for this kind of large-scale sequencing and analysis, so we will also develop platforms for these. This work will also give us the flexibility to scale up quickly and translate (apply) findings in clinics. We will continue to work with research institutes and our partners to analyze data of variant genes which contribute to disease.